We are a Certified Women’s Business Enterprise. WBENC’s national standard of certification is a meticulous process including in-depth review of the business and site inspection. 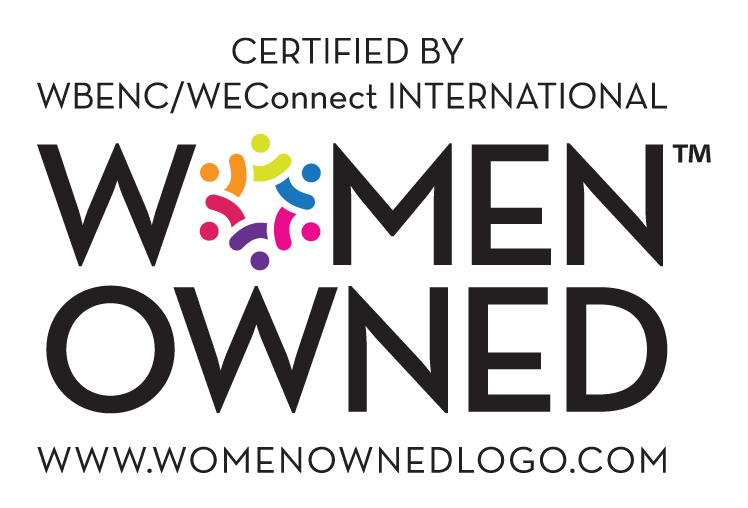 We are proud of our certification and to be at least 51% owned, operated and controlled by women. Established in 2006, Aquarius Technologies has over a decade of industry experience with over a million diffused aeration products in service and biological solutions installed throughout the world. We are recognized for our investment in aeration design, automated aeration system manufacturing, patented Biofilm technology and technical support for every solution. Our United States-based manufacturing facility boasts over twenty years of experience in the production of quality aeration systems, greatly setting us apart from other suppliers. We are serious about the quality and consistency of our system’s performance. The Aquarius Technologies team is a group of industry professionals with decades of combined experience in aeration, biological processes and filtration technologies. Our company’s leadership team works together with their dedicated people to develop, design and deliver treatment solutions that proudly bear the Aquarius Technologies, LLC name. With many years of practical experience and knowledge, we strive to understand the industry and the environmental challenges facing current and future generations. Aquarius Technologies welcomes every opportunity to work with you to provide quality solutions. Aquarius Technologies, LLC is a privately held company servicing global, industrial and municipal customers with performance proven water treatment solutions. Headquartered in Saukville, Wisconsin, we are committed to establishing lifetime customer relationships. Our aeration and biological systems provide customers with a solution representing the lowest cost of ownership. Every solution must meet our customer’s expectations through proven performance, high quality standards and service throughout the life of the system. Provide innovative water treatment solutions to meet the needs of global municipal and industrial customers for aeration and biological systems. Grow North American and targeted international markets through knowledge of experienced industry professionals, “customers for life” company culture, and high quality solutions offering the lowest cost of ownership and customer support services. After several years of working for well-known companies in the Water Industry, the opportunity to invest in Aquarius Technologies, LLC presented itself. The combination of proven solutions, products and a team of passionate, experienced and dedicated professionals all adds up to a successful future. The water industry is a major growth engine, which contributes to the well-being of countless people around the world. At Aquarius, we are committed to being an industry leader and bringing about positive change in the markets we serve. Our world’s future depends on the preservation of water and “out of the box” thinking to solve the challenges of today and tomorrow. Partnering with our customers and focusing on our core competencies assures that you receive best-in-class solution offerings. We are making a concerted effort to focus on Aeration and Biological Solutions, making us specialists to the customers we serve. We desire to foster a reputation for always providing a lowest cost of ownership solution to our customers. We participate in projects by providing experience and expertise in process and mechanical system design, manufacturing, quality products and service. We are proud of over a decade-long commitment to retaining American jobs and sourcing from American suppliers – all of which have earned a reputation of warranty claims that are too few to count. We look forward to doing our part for the environment as our company grows, and to solving our customers’ needs through the solutions we provide. Thank you for visiting our website and on behalf of the Aquarius Team, we look forward to your valued business and building a lasting relationship.